They're the Vinimates you need and deserve! The cast of Christopher Nolan's Dark Knight Trilogy come to the DC Vinimates line with these three new releases: Batman, the Joker and Bane! 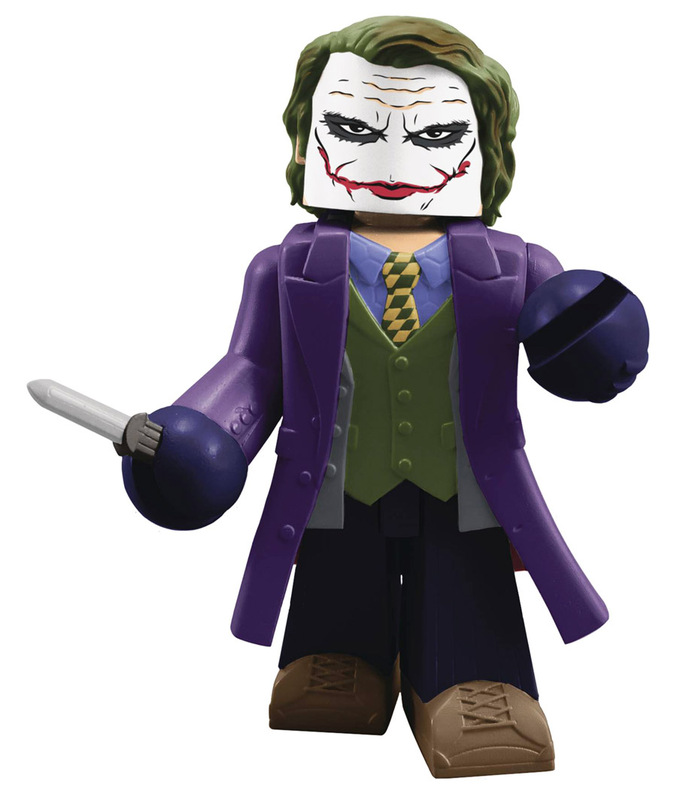 Each 4-inch vinyl figure is sculpted in the Minimates block-figure style and strikes a pose straight from the movie. Packaged in a full-color window box. 999 Lukers will be rewarded to you when you buy this item.